35001501 AH170 HITACHI AH170 Articulated dump truck. Spare Parts Catalog. Service (workshop) Manual. Operator's Instruction Manual. 35001502 AH250 HITACHI AH250 Articulated dump truck. Spare Parts Catalog. Service (workshop) Manual. Operator's Instruction Manual. 35001503 AH250D HITACHI AH250D Articulated dump truck. Spare Parts Catalog. Service (workshop) Manual. Operator's Instruction Manual. 35001504 AH300 HITACHI AH300 Articulated dump truck. Spare Parts Catalog. Service (workshop) Manual. Operator's Instruction Manual. 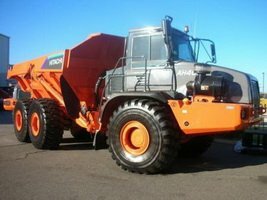 35001505 AH300D HITACHI AH300D Articulated dump truck. Spare Parts Catalog. Service (workshop) Manual. Operator's Instruction Manual. 35001506 AH350 HITACHI AH350 Articulated dump truck. Spare Parts Catalog. Service (workshop) Manual. Operator's Instruction Manual. 35001507 AH350-D HITACHI AH350-D Articulated dump truck. Spare Parts Catalog. Service (workshop) Manual. Operator's Instruction Manual. 35001508 AH400 HITACHI AH400 Articulated dump truck. Spare Parts Catalog. Service (workshop) Manual. Operator's Instruction Manual. 35001509 AH400-D HITACHI AH400-D Articulated dump truck. Spare Parts Catalog. Service (workshop) Manual. Operator's Instruction Manual. 35001601 EH400 - 404TD HITACHI EH400-404TD Rigid Dump truck. Spare Parts Catalog. Service (workshop) Manual. Operator's Instruction Manual. 35001602 EH700-2 HITACHI EH700-2 Rigid Dump truck. Spare Parts Catalog. Service (workshop) Manual. Operator's Instruction Manual. 35001603 EH700 - 404TD HITACHI EH700-404TD Rigid Dump truck. Spare Parts Catalog. Service (workshop) Manual. Operator's Instruction Manual. 35001604 EH750-2 HITACHI EH750-2 Rigid Dump truck. Spare Parts Catalog. Service (workshop) Manual. Operator's Instruction Manual. 35001605 EH750-3 HITACHI EH750-3 Rigid Dump truck. Spare Parts Catalog. Service (workshop) Manual. Operator's Instruction Manual. 35001606 EH750 - 404TD HITACHI EH750-404TD Rigid Dump truck. Spare Parts Catalog. Service (workshop) Manual. Operator's Instruction Manual. 35001607 EH1000 - 461LD HITACHI EH1000-461LD Rigid Dump truck. Spare Parts Catalog. Service (workshop) Manual. Operator's Instruction Manual. 35001608 EH1050 - 461LD HITACHI EH1050-461LD Rigid Dump truck. Spare Parts Catalog. Service (workshop) Manual. Operator's Instruction Manual. 35001609 EH1100-3 HITACHI EH1100-3 Rigid Dump truck. Spare Parts Catalog. Service (workshop) Manual. Operator's Instruction Manual. 35001610 EH1100 - 423LD HITACHI EH1100-423LD Rigid Dump truck. Spare Parts Catalog. Service (workshop) Manual. Operator's Instruction Manual. 35001611 EH1600 - 350HD HITACHI EH1600-350HD Rigid Dump truck. Spare Parts Catalog. Service (workshop) Manual. Operator's Instruction Manual. 35001612 EH1700-3 HITACHI EH1700-3 Rigid Dump truck. Spare Parts Catalog. Service (workshop) Manual. Operator's Instruction Manual. 35001613 EH1700 - 350HD HITACHI EH1700-350HD Rigid Dump truck. Spare Parts Catalog. Service (workshop) Manual. Operator's Instruction Manual. 35001614 EH2000 - 416LD HITACHI EH2000-416LD Rigid Dump truck. Spare Parts Catalog. Service (workshop) Manual. Operator's Instruction Manual. 35001615 EH3000 - 332ED HITACHI EH3000-332ED Rigid Dump truck. Spare Parts Catalog. Service (workshop) Manual. Operator's Instruction Manual. 35001616 EH3500AC2 HITACHI EH3500AC2 Rigid Dump truck. Spare Parts Catalog. Service (workshop) Manual. Operator's Instruction Manual. 35001617 EH3500 - 341SD HITACHI EH3500-341SD Rigid Dump truck. Spare Parts Catalog. Service (workshop) Manual. Operator's Instruction Manual. 35001618 EH3500 - 342SD HITACHI EH3500-342SD Rigid Dump truck. Spare Parts Catalog. Service (workshop) Manual. Operator's Instruction Manual. 35001619 EH4500 - 1 - 411MD HITACHI EH4500-1-411MD Rigid Dump truck. Spare Parts Catalog. Service (workshop) Manual. Operator's Instruction Manual. 35001620 EH4500 - 1 - 412MD HITACHI EH4500-1-412MD Rigid Dump truck. Spare Parts Catalog. Service (workshop) Manual. Operator's Instruction Manual. 35001621 EH4500AC2 HITACHI EH4500AC2 Rigid Dump truck. Spare Parts Catalog. Service (workshop) Manual. Operator's Instruction Manual. 35001622 EH4500-2 HITACHI EH4500-2 Rigid Dump truck. Spare Parts Catalog. Service (workshop) Manual. Operator's Instruction Manual. 35001623 EH4500 - 2 - 411MD HITACHI EH4500-2-411MD Rigid Dump truck. Spare Parts Catalog. Service (workshop) Manual. Operator's Instruction Manual. 35001624 EH4500 - 2 - 412MD HITACHI EH4500-2-412MD Rigid Dump truck. Spare Parts Catalog. Service (workshop) Manual. Operator's Instruction Manual. 35001625 EH4500 - 2 - 413MD HITACHI EH4500-2-413MD Rigid Dump truck. Spare Parts Catalog. Service (workshop) Manual. Operator's Instruction Manual. 35001626 EH4500 - 402MD HITACHI EH4500-402MD Rigid Dump truck. Spare Parts Catalog. Service (workshop) Manual. Operator's Instruction Manual. 35001627 EH5000 HITACHI EH5000 Rigid Dump truck. Spare Parts Catalog. Service (workshop) Manual. Operator's Instruction Manual. 35001628 EH5000 - 401RD HITACHI EH5000-401RD Rigid Dump truck. Spare Parts Catalog. Service (workshop) Manual. Operator's Instruction Manual. 35001629 EH5000 - 402RD HITACHI EH5000-402RD Rigid Dump truck. Spare Parts Catalog. Service (workshop) Manual. Operator's Instruction Manual. 35001630 EH5000 - 403RD HITACHI EH5000-403RD Rigid Dump truck. Spare Parts Catalog. Service (workshop) Manual. Operator's Instruction Manual.